Dogs and Central Oregon just go together, and because we have so many dog lovers here, you are able to take Fido to most places you go, including restaurants, with the exception of sitting on the patio of course. We’ve put together a list of Dog Friendly places and parks here in Central Oregon. These family-friendly restaurants allow dogs on the patios ONLY. Sunriver Brewhouse– At The Village At Sunriver. Serving American eats and craft beer. Address is Bldg 4, 57100 Beaver Drive, Sunriver, OR 97707. Cascade Lakes Brewing– Serving Pub food and craft beers. Located at 1441 SW Chandler Ave. #100, Bend, OR 97702. McMenamins Old St. Francis School– American food and craft beer, wines, and alcohol. With plenty of patio seating and firepits. Located Downtown Bend at 700 NW Bond St, Bend OR 97703. Pizza Mondo– Voted Bend’s favorite pizza place, you can sit outside right on Wall Street with your pup and enjoy pizza, salads, soda and beers. 811 NW Wall St, Bend OR 97703. These stores allow leashed pups. Petsmart– Located at 63455 N Hwy 97, Bend OR 97701. You can bring your dog in to sniff around and pick out a toy or treat, (or 2). Patagonia– Located in Downtown Bend at 1000 NW Wall St #140, Bend OR 97701. You can shop for your outdoor wear, while your best friend is right by your side. Mini Pet Mart– Another pet store located at 250 NE Greenwood, Bend OR 97701. Take your pup in to socialize with other dogs, pick out food, or toys and treats. 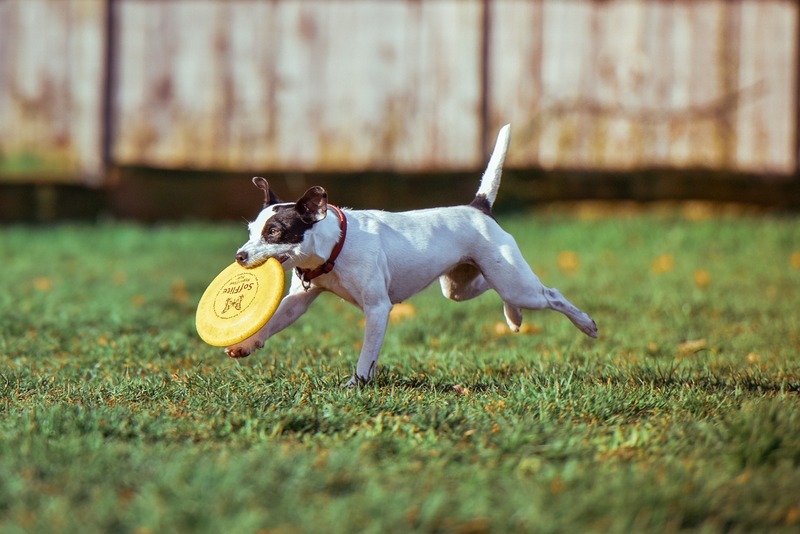 Take your dog to a dog park to get some exercise, play fetch, and socialize with other pups. Fort Rock Park- In Sunriver you can bring your dog to run and play fetch, while the kids play basketball or play on the playground. The address is 57515 E Cascade Rd, Sunriver OR 97707. Riverbend Dog Park– This dog park is an off-leash park right on the river located next to The Old Mill District. Overturf Park- This off-leash dog park is located at 475 NW 17th St, Bend OR 97701. 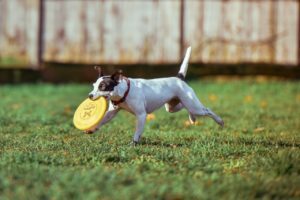 To see all dog parks, visit the Bend Parks And Rec Site. Please don’t bring dog if not friendly with other dogs, and please be kind and pick up after them if any accidents happen.